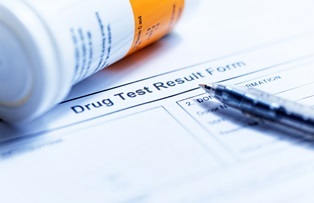 Can I be denied workers’ compensation benefits if I fail a drug test? One of the main tenets of the workers’ compensation system across the U.S. is an injured employee’s ability to obtain benefits regardless of fault. In exchange for reduced liability, employers agree to provide care and compensation even if an employee played a role in the accident or situation that resulted in the illness or injury. There are, however, some key exceptions to this rule. Besides injuries suffered in fights or that occur when an employee violates company policy, drug use can disqualify workers from benefits. Many workers wonder both if their employers may perform drug tests and if it is possible to lose workers’ compensation benefits as a result of a failed test. Here, we look at drug testing and drug policy relevant to Ohio’s workers. Ohio employers are within their rights to perform drug tests on employees. The Ohio Bureau of Workers’ Compensation (BWC) even encourages employers to do so, offering incentives for employers to enroll in a state drug-free workplace initiative. The Drug Free Safety Program (DFSP) calls for employers to drug test employees after an accident and upon return to work as two of several requirements of the program. Employers are also permitted to test an employee when reasonable suspicion of intoxication or drug use arises. While this program is voluntary and not every Ohio employer will participate, know that drug testing is a common practice and may occur at your place of employment regardless of whether your employer is involved with DFSP or not. There are several ways to test a person for drug use, and different employers may elect to use different methods. The most common forms of drug testing include examining samples of urine, hair, blood, breath, or even sweat. He or she was under the influence during the accident or injury. It must be shown that the employee was under the influence when the injury occurred. This means a drug test days or weeks later may not matter. Only timely tests that can scientifically and reliably indicate impairment at a specific time are relevant. The drug or alcohol use was the proximate cause of the injury. Proving an employee was impaired during an injury is not enough. In addition, an employer must show that the impairment directly led to the accident or injury. If any other circumstances contributed to the injury besides the employee’s drug use, it can still be possible to obtain benefits. And there are a several other defenses against benefits denial after a failed drug test. Workers taking medication prescribed by a doctor for a legitimate medical reason, those singled out unfairly among other employees, and anyone subject to inappropriate testing methods could dispute the drug test results. If you or someone you love has suffered an injury at work, and you are worried about drug testing by your employer, contact the experienced workers’ compensation attorney at Monast Law Office. Attorney Jim Monast and his staff can provide information about your rights to medical care and compensation, and they may help you protect those rights. Call our Upper Arlington office today, or take a moment to fill out our online contact form for a prompt response from our team.